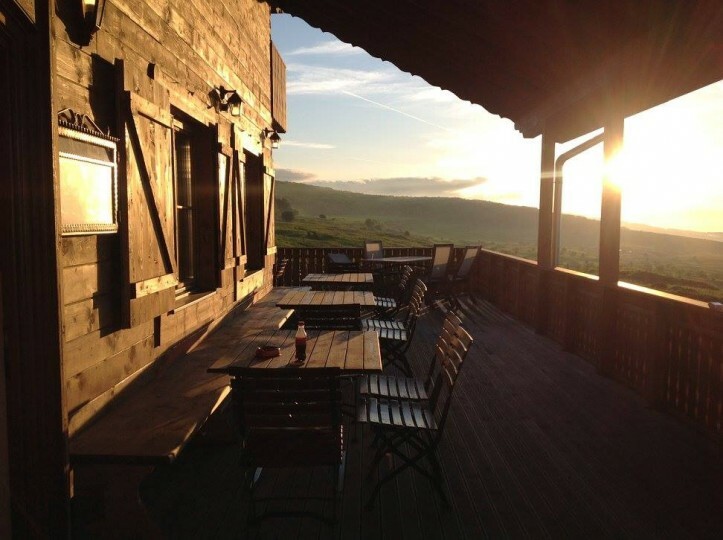 We would like to invite you to our German Gasthof Cluj-Blick with traditional German food and a fantastic view. 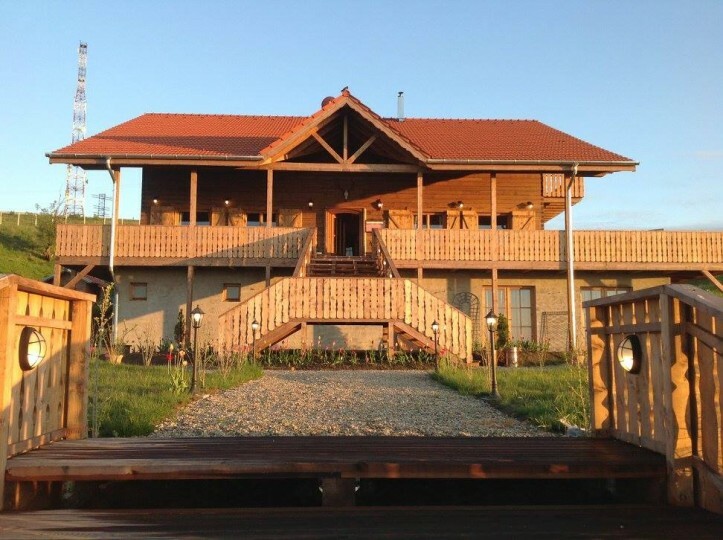 In the last 2 years we have created from nothing an oasis of calm and relaxation: our German Gasthof Cluj Blick. 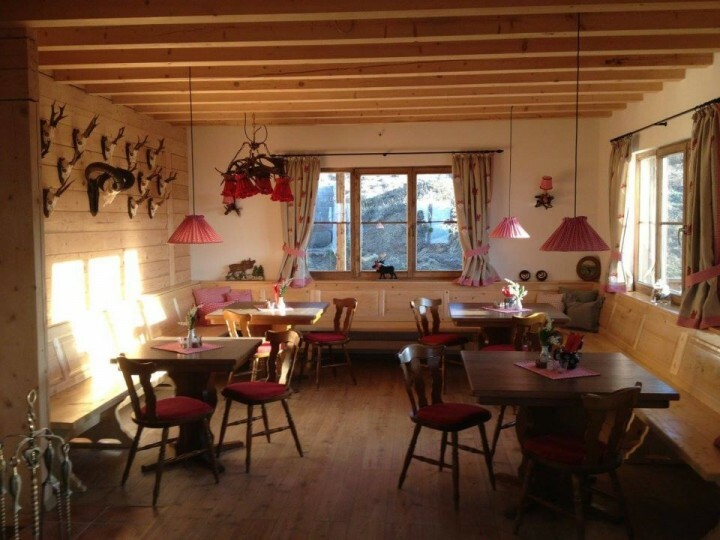 Here you can enjoy our German cuisine in a traditional Alpine atmosphere. 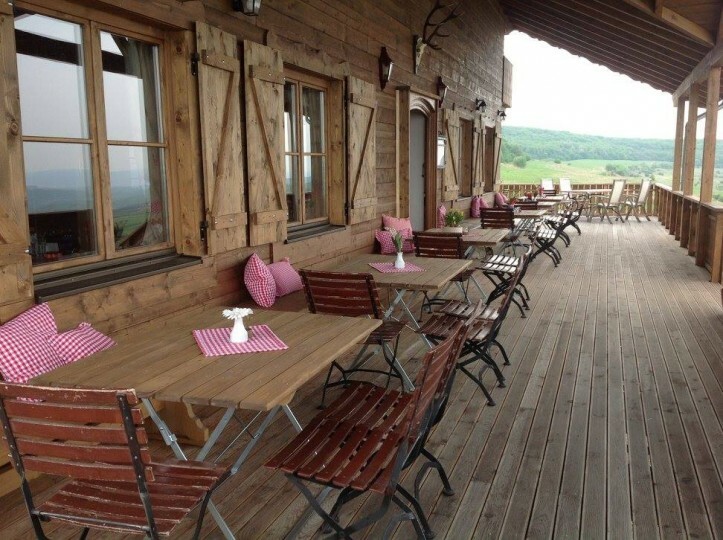 With good weather relax on the large terrace and enjoy the delightful views. On cold days inside invites a cosy fireplace to relax. We, Angelika Wienhöfer and Erwin Truwe, look forward to your visit! We offer a traditional German cuisine with dishes from various regions of Germany, from the “Nürnberger Rostbratwurst” to the “Rheinischer Sauerbraten” our menu offers indigenous home cooking with plenty of finesse and a lot of manual work – we prepare everything fresh, especially our delicios waffels and cakes to the coffee! Our beverage-card holds both for the beer drinker Pils, Kölsch and Hefeweißbier and for the wine connoisseur German wines. 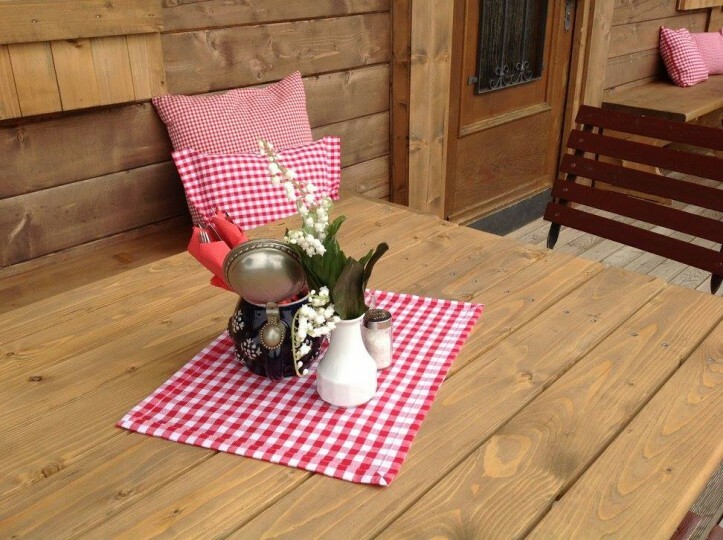 We will set up for you rooms in our typical alpine style: lots of fabric and wood create a warm and cozy atmosphere. 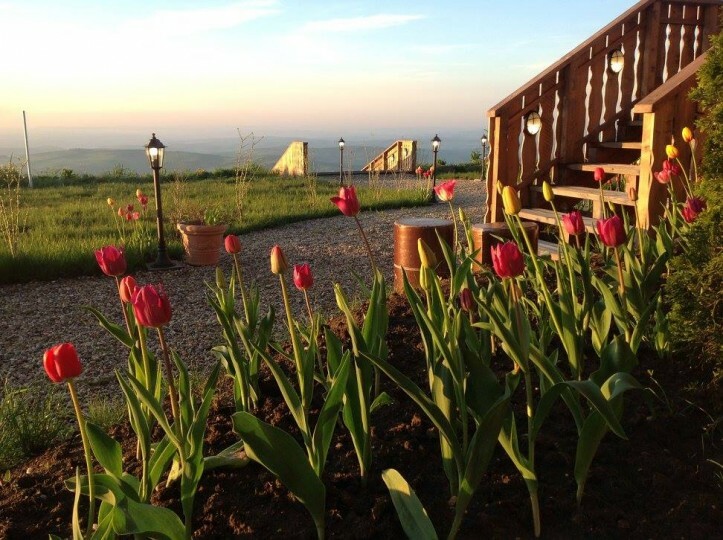 They have a direct access to the garden and a small private terrace in front of the rooms, so you can enjoy our peace and nature 24 hours a day! In the future you can hold trainings and meetings in our spacious meeting-room and benefit from the peace and nature. Here you can also celebrate festivities such as birthdays, weddings etc… and enjoy our good German cuisine. From now on we look forward to welcome camper, who are autonomic, to use our place, from next year on we will have finished the sanitary area and the electricity and water supply so nothing more stands in the way of boundless camping pleasure in the silence of the nature!